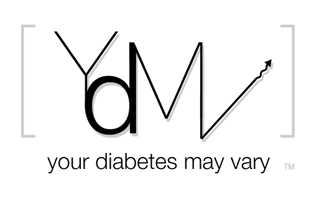 Your Diabetes May Vary: Hey Adam needs a hand, Little help? This is from my good friend and inspiration to bicycle, Adam Brown at diaTribe. Help him out OK? Just to be clear, diaTribe is asking to help better focus on what matters to PWD when we do the next round of #DOCasksFDA, not FDA asking. Go us! On November 3, the FDA will host an unprecedented discussion between the diabetes community and senior agency leadership (both drugs and devices). The event will be live webcast from 1 - 4 pm. We want this to be nothing short of a home run. The event will include a panel of patients (T1 and T2), as well as representatives from ADA, JDRF, and diaTribe. As a community, our job is to present the numerous challenges we as patients face each day, and we need as many opinions as possible to be a part of this discussion! With FDA, ADA, JDRF, and dQ&A input, we have created a survey posted at www.diaTribe.org/survey. We are asking the entire diabetes community (T1 and T2!) to please fill out this short survey and share thoughts on what's important when it comes to living with diabetes. 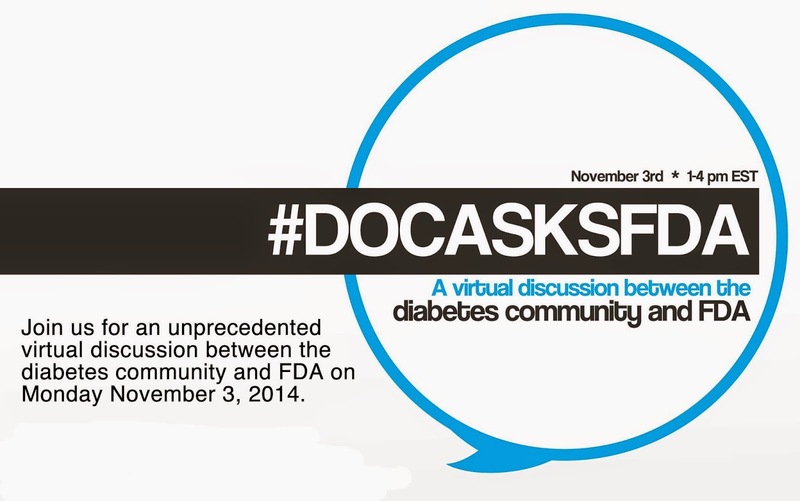 This feedback will go DIRECTLY to FDA and help influence the conversation on November 3. FDA is currently working on the registration to sign up for this webcast event; as we understand it, this should be posted within the week. We will be in touch with that information and a finalized agenda as soon as we have it. For now, it is mission critical to have a massive response to the survey. We need to show the FDA that patients care about these issues, that patients have valuable input to share, and that the treatment options we have are still not good enough. Thank you on behalf of our entire team for your help in spreading the word on the survey and about the event. We’re truly excited about the potential to open the lines of communication with the FDA, which for too long has been a black box. We need more patient input into the drug and device approval process, and we see November 3 as a very key avenue to making that happen. Let’s show the FDA how committed our community is.